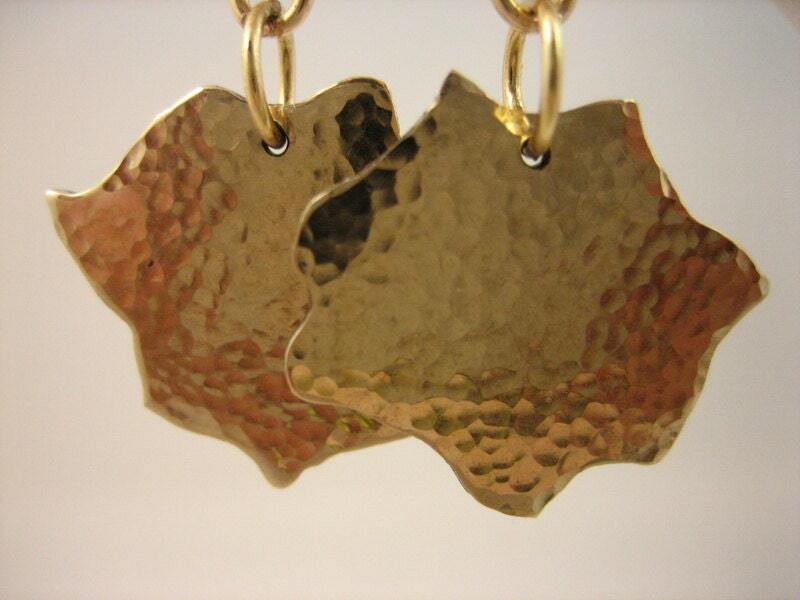 Beautiful abstract hammered silicon bronze disk in a shimmering golden tone. Handcrafted, pierced and hammered with a polished finish. Approx. 3/4" dia. Hand formed gold filled 14k French ear wires.